So you want to use a doula: what happens next? Peace on Earth... begins with a peaceful birth. 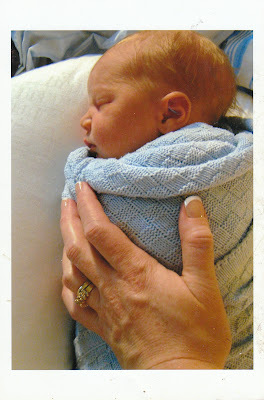 Peace on Earth Begins at Birth Doula Services believes that every baby deserves the most gentle birth possible. I offer labor support and post-partum support to mothers seeking help welcoming their babies into this world. Birth in our culture has become a very medicalized event over the last many generations. It is typically full of interventions and medical management which disallows natural, normal processes to take place in the mother's body. This sets up the event to become one that appears to require medicine and invasive procedures in order for a baby to be born. A birth doula can offer the kind of gentle support and encouragement and information that a laboring mother (and her partner, if applicable) needs to proceed with confidence in labor. Technology is a valuable thing to have access to if a baby or mother is truly in trouble, but more often than not, it is not necessary to a beautiful, satisfying, and truly healthy birth. Mothers who strive to have unmedicated births benefit tremendously from continuous physical and emotional support. They need to feel supported and believed-in; to be reminded that they can do the work of bringing their babies into the world. They need to feel like they are in a safe space, with supportive people around them who believe in a woman's ability to birth. Studies demonstrate that having a doula present at birth enables better outcomes for the mother and the baby. Cesarean rates drop, as can length of labor, use of epidurals, forceps, pitocin, and pain medications (see side bar: "Benefits of having a doula").